A QR code (quick response code) is a type of 2D bar code that is used to provide easy access to information through a smartphone. In this process, known as mobile tagging, the smartphone’s owner points the phone at a QR code and opens a barcode reader app which works in conjunction with the phone’s camera. The reader interprets the code, which typically contains a call to action such as an invitation to download a mobile application, a link to view a video or an SMS message inviting the viewer to respond to a poll. The phone’s owner can choose to act upon the call to action or click cancel and ignore the invitation. Static QR codes, the most common type, are used to disseminate information to the general public. They are often displayed in advertising materials in the environment (such as billboards and posters), on television and in newspapers and magazines. The code’s creator can track information about the number of times a code was scanned and its associated action taken, along with the times of scans and the operating system of the devices that scanned it. Dynamic QR codes (sometimes referred to as unique QR codes) offer more functionality. The owner can edit the code at any time and can target a specific individual for personalized marketing. Such codes can track more specific information, including the scanners names and email address, how many times they scanned the code and, in conjunction with tracking codes on a website, conversion rates. The technology for QR codes was developed by Densa-Wave, a Toyota subsidiary. The codes were originally used for tracking inventory. 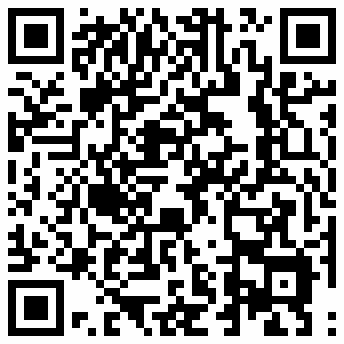 QR codes on business cards link to the individual's full resume or website. Quiring Monuments in Seattle puts QR code on gravestones to connects people to an online obituary or a website about the deceased. In Florida, the J.N. "Ding" Darling National Wildlife Refuge puts QR codes on signs to connect people to informational videos about wildlife along the trails. > This video from the course “Psychology of Consumer Behavior” provides interesting examples of how QR codes are being used in advertising. > USA Today has written about QR code in Smartphones turn bar code squares into sales tools and QR codes everywhere – even on grave markers. > Wikipedia has an entry on QR Codes. QR Maker as name suggests provides Quick Response Codes which employ four standardized encoding modes (numeric, alphanumeric, byte / binary, and kanji) to proficiently store data. Qr codes are great I feel they are having a comeback in 2018, you can check this this free qr code generator made myself many qr codes with it myself.